← Rain, rain and more rain! 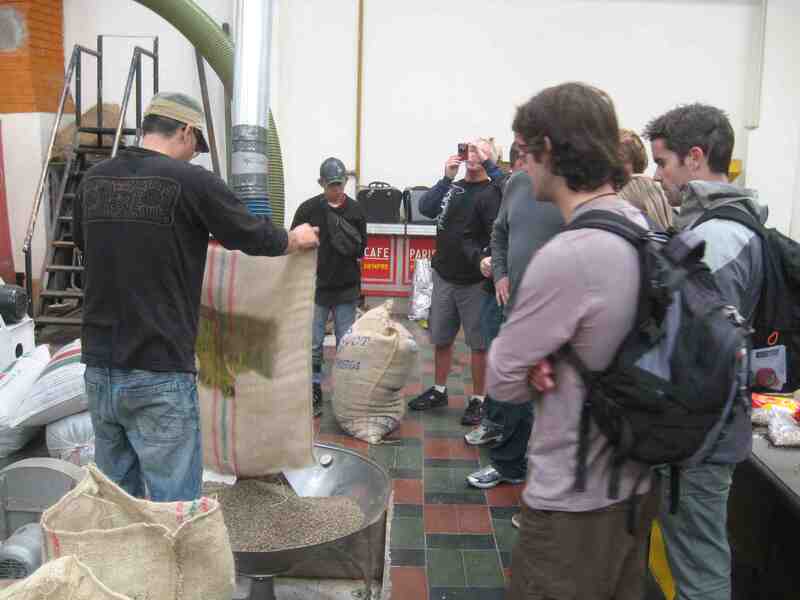 Cafe de la Fonda is a small coffee factory located behind Bogotá’s Central Cemetery. 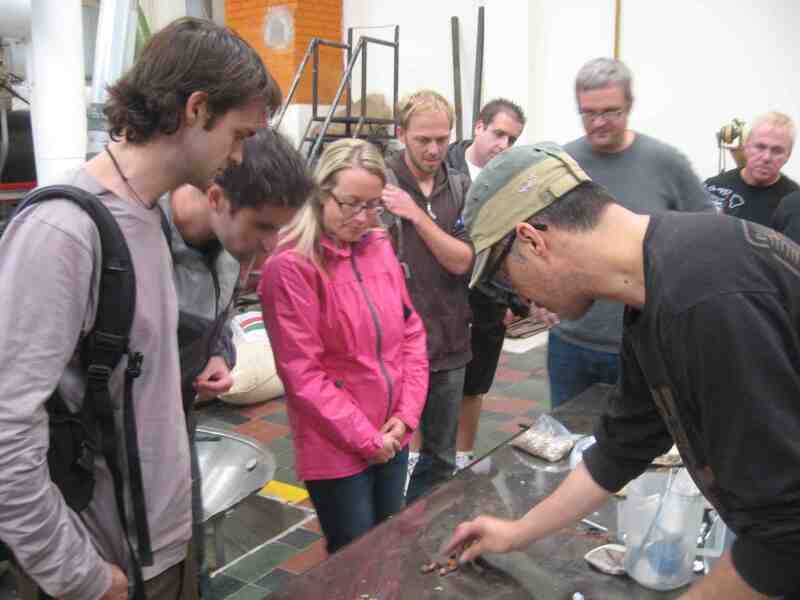 The other day, Bogotá Bike Tours visited and owner Julian Jaramillo was kind enough to show us around. 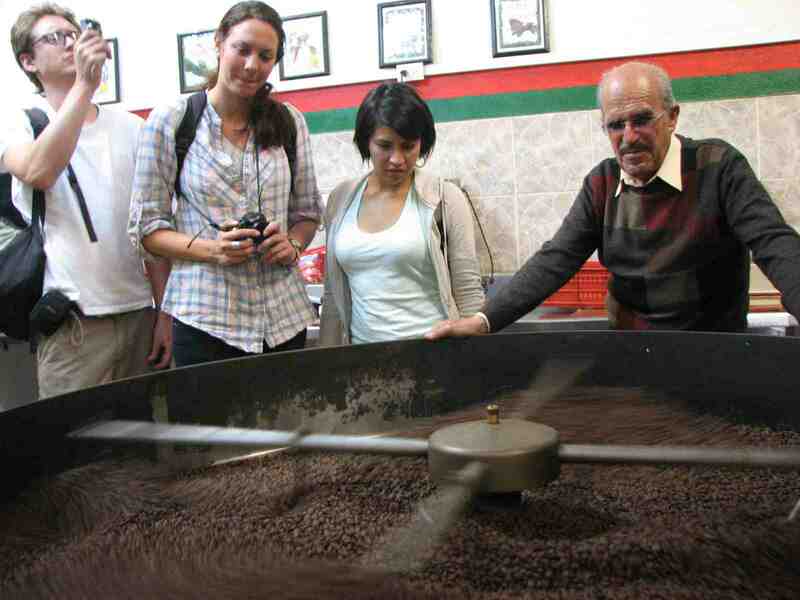 I’m no coffee connoisseur, but those who know tell me that they make some of the best coffee in Bogotá. Of course, generally, the high-quality coffee gets exported, while the cheap stuff is sold domestically – and is often not even dignified with the name café, but deemed tinto (tinted water) instead. Café de la Fonda also produces chocolates. And makes a drink containing a coffee and cocoa beans mixed with a spice called Cafe de los Dioses. Quite delicious. 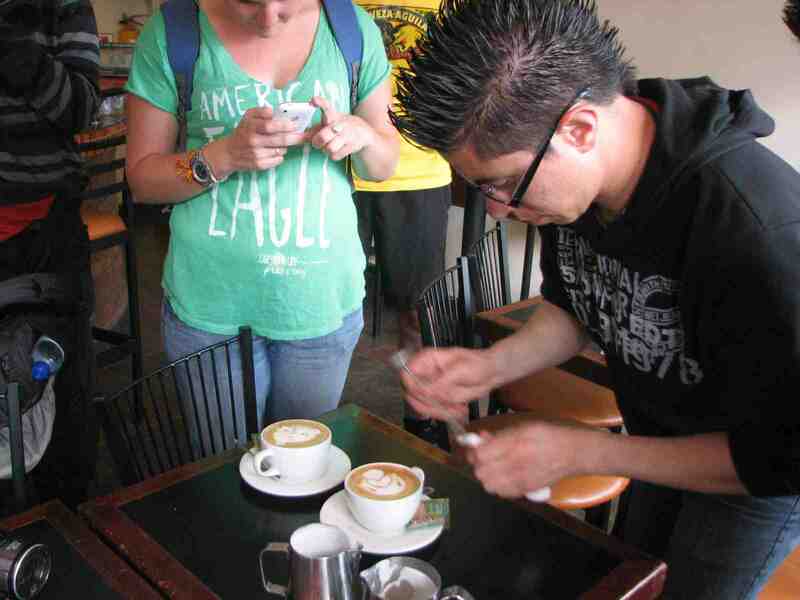 Esteban, the factory's barista, paints on coffee. 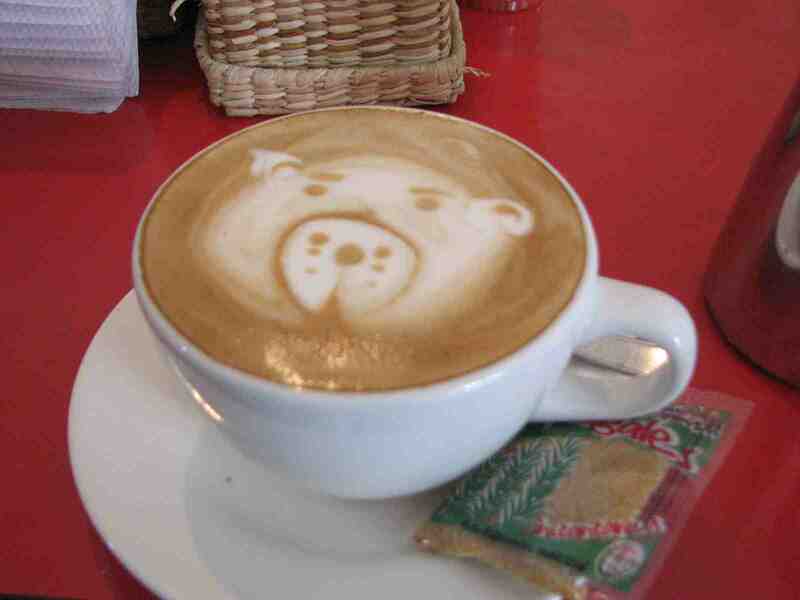 Too cute to drink: a coffee bear. 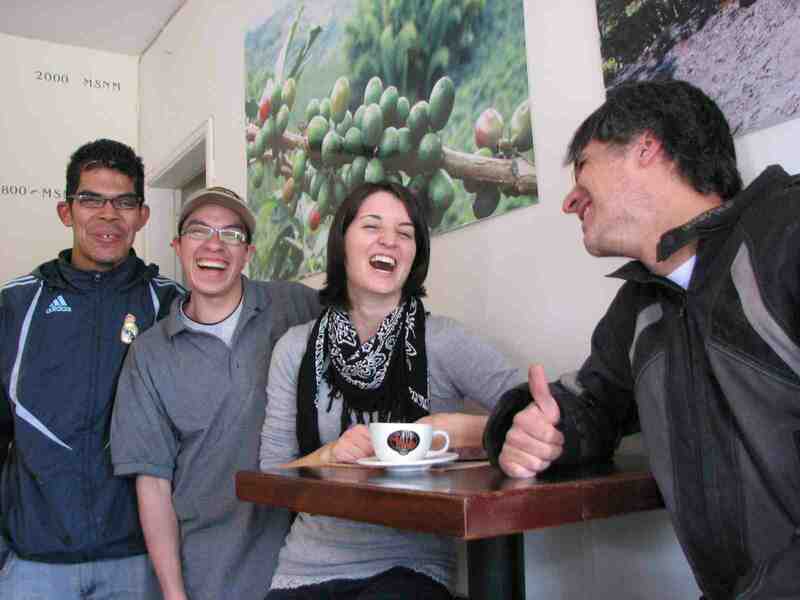 A Swiss visitor with Cafe de la Fonda staff. 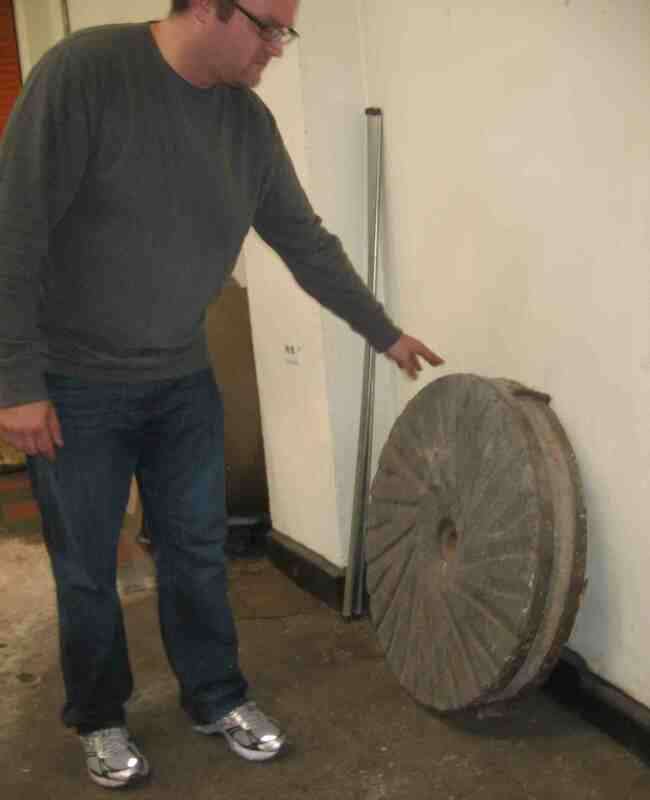 Cafe de la Fonda still has and uses old-time stone grinders. Dumping out a sack of beans. 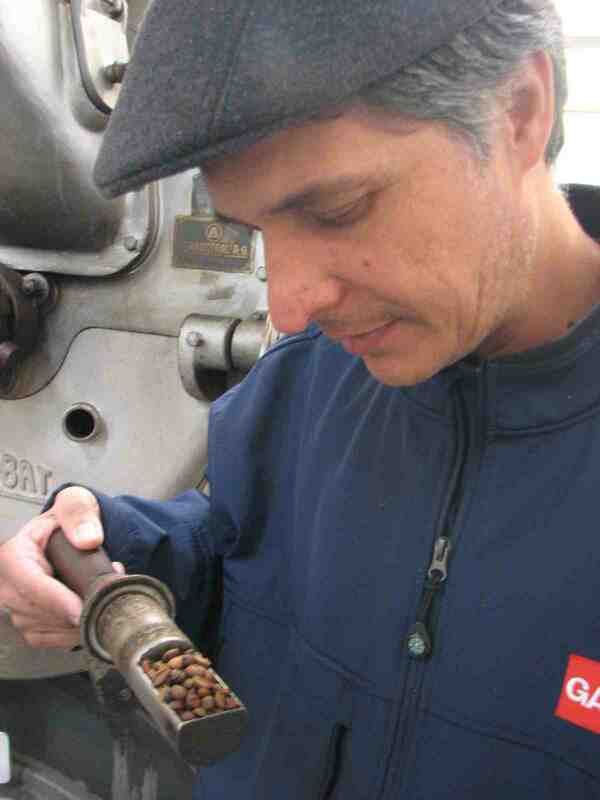 Getting it just right: Owner Julian studies a sample of roasting coffee. 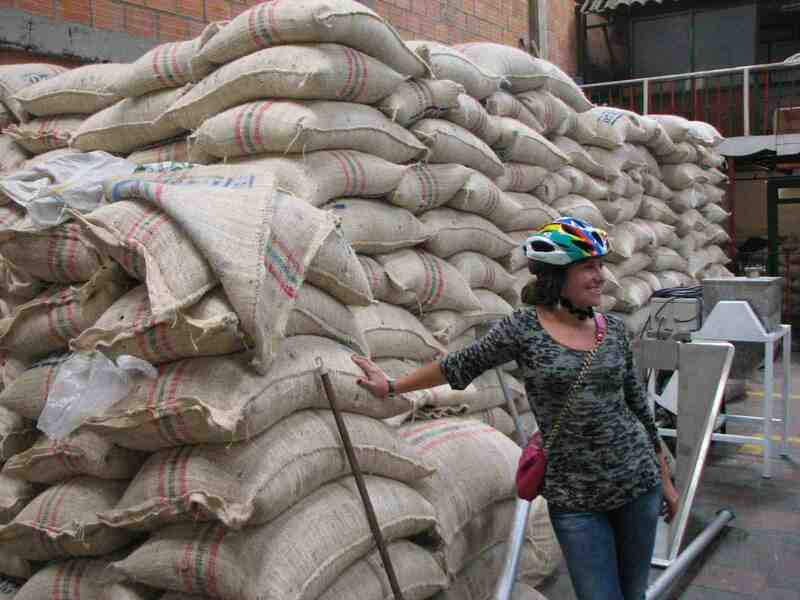 Posing with sacks of coffee waiting to be roasted. This retired employee got bored at home, so he came back to work. 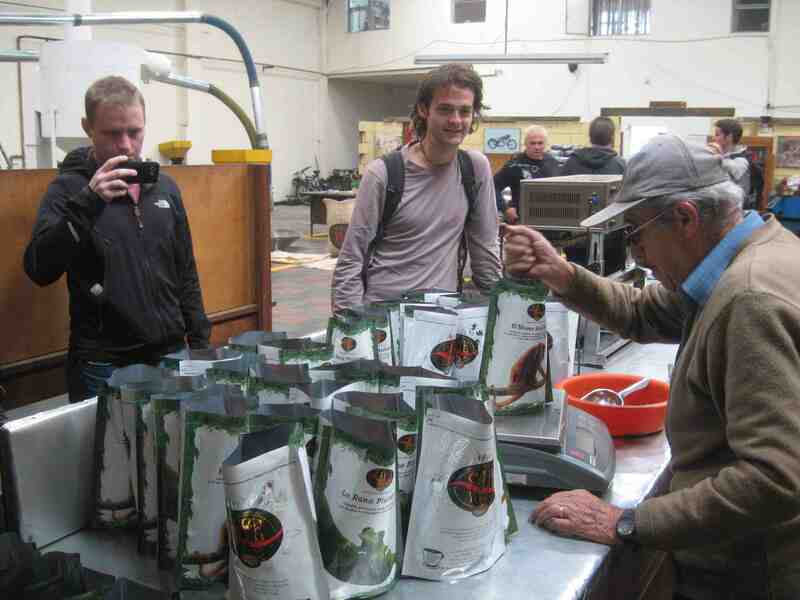 Owner Julian Jaramillo shows off some beans.